You don’t have to brine a whole bird for days to enjoy flavorful turkey. Yes, there is the ever-popular giant leg sold at summer food and music fests and Disney parks worldwide. And you can grill up a (usually dried out) burger or broil a sad looking tiny breast. But don’t forget about the wings! Cheaper than chicken these days, you might be pleasantly surprised to find that they can be even more satisfying and flavorful. Then throw them on the grill over indirect medium high heat for about 25 minutes. 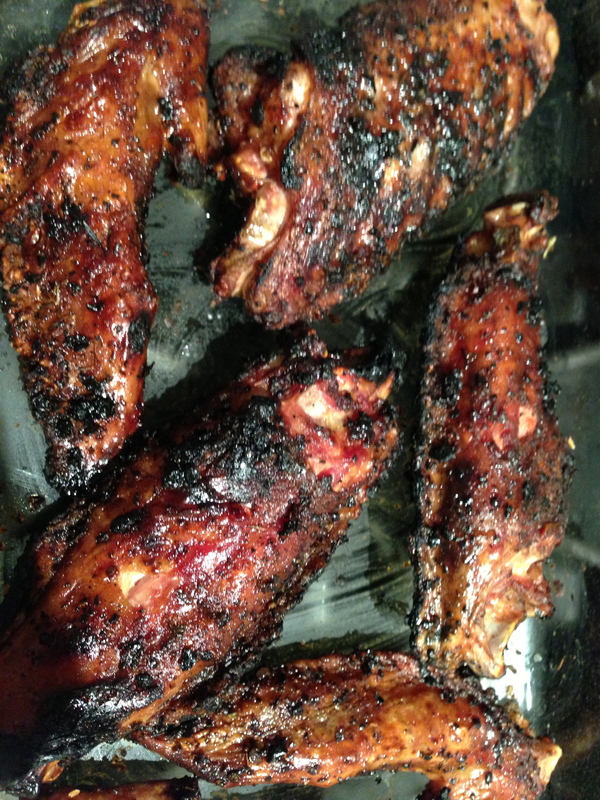 Or you can lower the temp and cook them longer (about 45 mins). 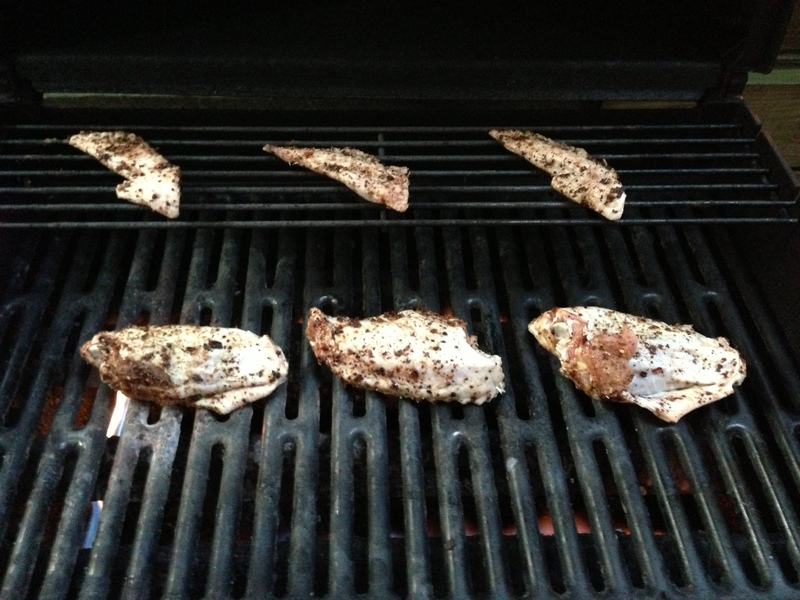 I find that grilling temps vary so much that trying to do low and slow with wings is not worth the effort. As long as you have the char, it should be good on flavor. And you can break the wings apart and cook the tips separately so they don’t overcook. I like the crispness of the tips and skin, so I don’t discard them like some recipes advise. 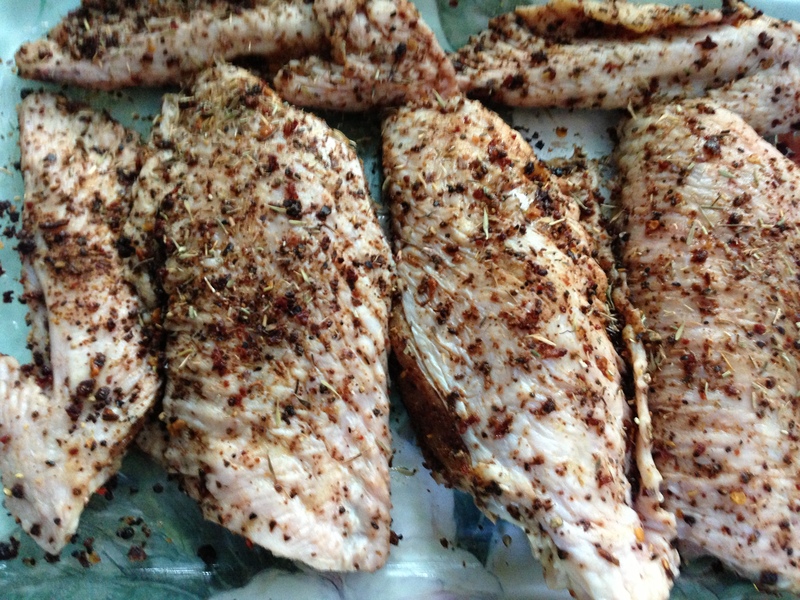 Experiment a little bit and see what works on your grill and to your liking. At this cheap price point, you can afford to try this a few times. Serve these with some blue cheese dressing (just like buffalo wings) or a BBQ sauce- whatever you prefer and is easiest. Just be careful not to burn or overcook them. Maybe there won’t be a Buffalo Wild Turkey Wings restaurant popping up anytime soon, but in the meantime – make your own! Pioneer. The local cheap supermarket.